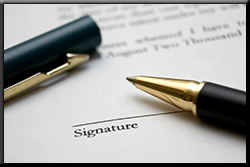 You need a competent attorney to represent your best interests in real estate law. The law office of Frederick A. Costello is experienced in all aspects of real estate litigation. We can provide the services you need in your real estate transactions. We represent both Buyers and Sellers in residential and commercial real estate transactions. We are accurate and reliable in every stage of the buying or selling process and will always work diligently to avoid lengthy legal disputes relating to real estate. Our office can also help you with landlord-tenant issues, lease disputes, zoning and planning, bankruptcy and creditors’ rights issues, and all other real estate legal matters. Contact us to represent you in your real estate litigation.